We are delighted to present our new 2019 product range to you. Whether this is the first time you have looked at the Polydron range or you are a loyal returning customer, we welcome your interest in our products and invite any questions or comments you may have. We are excited to have our new catalogue available for immediate download. 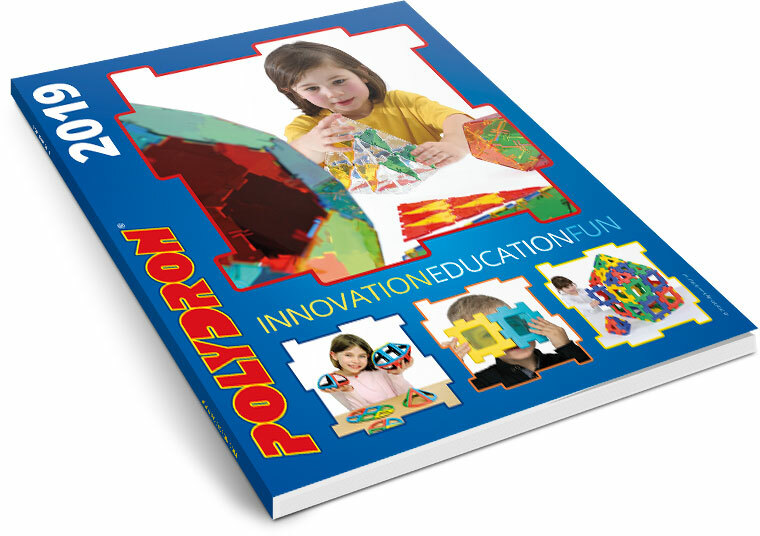 Once again we have combined all of our products into one catalogue: Polydron, My First Polydron, Frameworks, Polydron Sphera, MegaMag, Junior Polydron, Magnetic Polydron, Wooden Magnetic Polydron, Octoplay, XL Polydron, Giant PolyPlay and Giant Polydron. The catalogue also features our new product ranges: My First Polydron Windows, Crystal Polydron and Crystal MegaMag. Click on the cover image to download our 2019 catalogue, or fill out the form below to receive a copy by post.